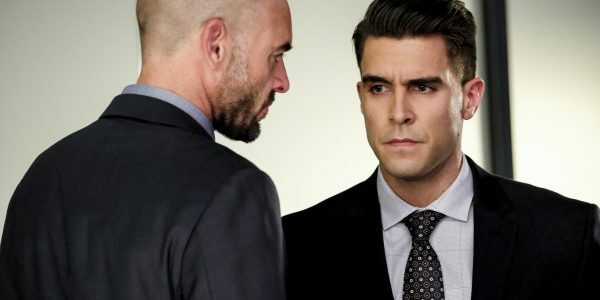 Arrow delivered another great hour of television with “Disbanded,” an episode that continued the tension of Oliver’s secret from last week and gave us some big movement with the Prometheus storyline. More importantly, the show finally has stakes again, and the situations and dilemmas our heroes find themselves in are impactful and provide for good television. The bottom line is that each episode of Arrow this season has proven that show can deliver good content. This episode was no different. Oliver is a mess, and that’s evident in the way he looks and the way he holds himself together, not just the things that he is saying. Chase forced him to admit to his secret desire to kill, and his droopy eyes and his weak tone of voice are all clear signs that he has bought into it completely. Everything that Oliver does in this episode makes absolute sense for a person in his position. Understanding the characters in the show and allowing them to make realistic choices and say things that the character would actually saw is something Arrow has not been the best at in the past. That’s not to say that dumb characters that make bad choices can’t exist, the problem is when a character does or says something just to advance the plot. That was not the case here, and this goes for all the characters like Felicity and her deepening relationship with the sketchy Helix group. Diggle and Oliver are the highlight this episode as both bring their best in performance and character beats throughout the episode. The show is always stressing that their relationship is an integral part of the series, but such a strong bond is not often shown outside the small bits of advice Diggle gives here and there. It’s kind of like the legacy theme running throughout this season. The series mentions Laurel and her legacy just about every other episode, but her actual time as the Black Canary was always relegated to the sidelines. I’ve always felt the same with Oliver and Diggle, but this episode let that relationship get put to the test. Thankfully, it's now a lot more convincing. Diggle and Oliver go head to head in multiple scenes, and the genuine care the two have for each other is there and it’s masked with arguments that feel real. It’s also something different. We haven’t seen these two go at each other’s throats in quite some time, so it was refreshing to see Diggle go behind Oliver’s back or even Oliver giving Diggle a swift punch in the face after he disrupts the Bratva heist. The driving force of the flashbacks this week put another character in the spotlight. Anatoly got some great character development that I didn’t even know I wanted. His concern at becoming entangled deeper into the ways of the Bratva made it interesting to watch him and his motivations in the present. 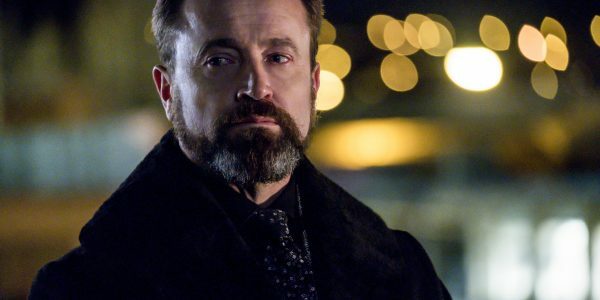 So far this season he has been great to watch as the one who guided Oliver through the flashbacks, but this new twist on his character has the potential to set up some cool new plot points later down the line. It’ll certainly make leaving him in the flashbacks at the end of this year something to look forward to. We can’t wrap up this review without talking about that awesome final scene with Chase and his escape from witness protection. Look, it was only two episodes ago where we finally got to see that twisted and demented side to Chase, but it is still chilling to watch him kill in cold blood or see that crooked smile as he drives off into the night. I’m also very happy that, throughout this season, plot points don’t linger on for too long. Oliver spent an episode disbanding his team and dealing with his secret, great. Now everyone is back and we’re ready to keep moving. We discovered that Chase is Prometheus but he couldn’t be outed so he stuck around city hall. Good, but now he is on the run. Storylines get their due time and move on before things get stale. 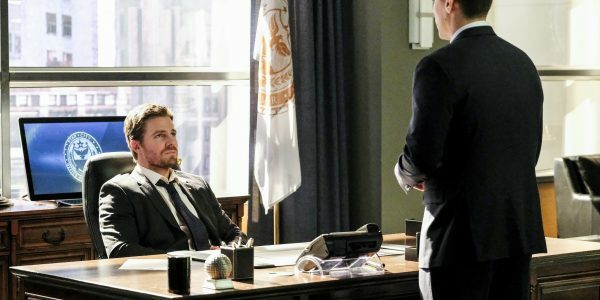 When Arrow goes off the air for three weeks, as it will after this episode, they usually deliver an episode that escalates the plot and gives us something big to look forward to when the show returns. This episode did just that. If this season is anything to go off of, you can expect the final five episodes to follow suit. Conflict between Oliver and Diggle. Final scene with Chase and his escape! Quentin Lance doesn't have much to do.